Two of my friends are getting ready to come to Korea. They asked me to write a blog on how to survive your first year here. It’s been a while since it was my first year so I took to Facebook to ask my friends. I was astonished at the replies I got back. There are so many things that nobody tells you before you come here. Hopefully we can sort some of that in this blog. 2. Culture: Know what’s expected of you in the workplace, when you visit someone, greeting people etc. A simple Google search will provide plenty of articles to read on this issue. 3. Supermarkets: The good news is that there are small supermarkets everywhere but for the bigger things there are two big supermarkets Emart and Homeplus (in Korean). You can buy everything from clothes to household items in these two places. A tip is to buy with your card. I don’t know the ins and outs with this but it’s preferred to avoid the taxman. 3. Transport: The bus, subway and train system here are excellent. Subway;To make it easier for you, it’s a good idea to download the jihachul app so you can navigate the subway. system. You can figure out running time and waiting times for subways on this app. And yes, it’s in English. For those not living in Seoul, remember that the subway finishes well before midnight so if you live outside the city and you stay out, you should consider alternative transport home. There is a jingle at transfer stations and end of line stations. A Tmoney card is the name of the transport card in the Seoul and surrounding area. You can buy them for a few thousand won in most 7-11 and convenience stores. Then use the machines at the subway systems to load them with money or at a convenience store. The average cost of a journey can be calculated approximately using the jihachul app. 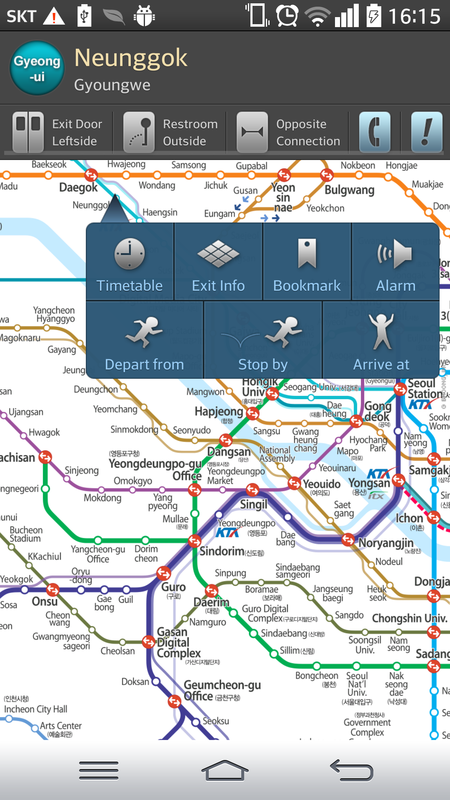 You can also download the Seoul Bus app. Unfortunately, it’s in Korean but if you know the bus number you can check where on the route the bus actually is. You can use your T Money card on the buses also or pay in small cash or coins. Taxis; Taxis are EVERYWHERE. The regular ones are silver or orange. The should have a meter and the drivers information visible. The black ones are more expensive. Supposedly they are more luxurious. In Seoul, you can use your T Money card or a bank card to pay for the fare. You can also get a receipt. Outside of Seoul depending on the place, you can’t use a T Money card. You should have some cash to pay for the journey. Some schools make you open an account in a particular banl to avoid transfer fees etc. Banks are opened from 9-4 Monday to Friday. The exception are the expat banks like KEB who have branches open on Sundays for certain hours. You should consider this if you have a 9-5 job. At least 2 of these banks have excellent expat services (KEB and Shinan). You can set up internet banking and download an app on your phone to check your balance etc. Most banks have someone that speaks English especially the ones with expat services so don’t fear going in alone to set it up. KEB also have an account called an Easy One that will lodge money straight to your overseas account. * I should note that other banks potentially offer the same service but I have my account with KEB. You should bring all the details of your home account for registration. Bank Transfers; You can transfer money from your account to another Korean account by using either online banking or going to a bank machine. It’s very easy and the machine has English language so you can’t go wrong. Insurance: Should you need car insurance, travel insurance, health insurance etc, you can contact the Samsung Insurance rep who can speak with you in English. You can reach him at byung625@gmail.com and his name is Byung. I have my car insurance with him and travel insurance and it’s always great value and he speaks perfect English. 5. Apartments; Apartments here are generally a one room or two room for single people. Unless you really luck out in which case you’ll have a few rooms. You will have a washing machine and heating to navigate in Korean but fear not, I already have blogs done on how to use them. 6.Rubbish disposal; This is a tricky one. Every place and every housing complex has a different system. If you live in a huge housing complex, they have one day a week where everyone leaves out their rubbish. This rubbish is separated by recycling, food and other. 1. Go to the supermarket or local shop and buy the rubbish bags. The yellow ones are for food rubbish. The bigger ones (blue in my area) are for general waste. Then I also have recycling. I leave recycling out in a box or a paper bag. 2. Look on the street for other rubbish that is waiting to be picked up. Leave your rubbish here and it’ll get collected. If you have a bigger item like a chair that you want to get rid of you can either 1) Leave it out and let someone else take it and use it or 2) Go to the supermarket and get a sticker for it. Put the sticker on it and leave it outside with your rubbish. 7. Post Office: The postal system here is extremely efficient and safe. If you wish to send something in country then just put the senders details on the top left corner and the receivers details in the middle. Then send it either the quick way or the regular way. It’s pretty cheap. If you want to send something home, there are two options 1. Land 2. Air. Land will take between 3-6 months to reach it’s destination. It’s cheaper than sending it by air and it’s good to send home clothes and other items that you don’t want but are in no great rush for. Air takes only 7 or so days to get to the destination. It’s the fastest way to send things home. The post office is open from 9am-6pm . It’s so important. If you lose your ARC you must immediately report it missing with the police and then go to immigration and apply for another. Also USE FACEBOOK! So many areas have their own Facebook pages. In my area we have Geumchon Crew, Ilsan have their own page and so on. You get the drift. Google it or Facebook it and you’re bound to find some groups. You have the option on taking over a phone contract from someone who is already here. Keep that in mind before going off and starting one of your own. Olive Young sells lots of foreign brand cosmetics. Don’t open your gas valve all the way. Open it just enough so the meter turns otherwise you’ll have a big bill. Bring a huge towel with you. Go to cineinkorea to find out what movies are showing in a theatre near you. Just go with the flow if you have no idea what’s happening. You can call the tourist information people on 021330 if you need some help. In the deep winter, don’t leave your heating completely off if you leave for over a week. If your pipes freeze and burst, your entire floor will have to be taken up and replaced. No one wants that………..
Never trust the green light when crossing the street. Pedestrian crossings are out in the stupidest of places so always look left when crossing and don’t take the chance if it’s a bus approaching. *If you want to add something to this list, leave a comment below. Most of my posts are pretty positive. I do my best. But I thought it only fair to do the not so fantastical things also. A big shout out to the people who contributed to this on my Facebook page. 1. Puke Puddles– The absolute worst thing about living in Korea. Back in the day when I lived in my old apartment, I used to live next to a pedestrian street lined with little restaurants. Every morning, I would have to pick my way through the puke puddles to get to school. We used to call it Puke Alley. It was worse in winter when they were frozen. I hope no one was eating their lunch. Sorry. Enough. Disgusting. 2. Spit– Koreans love to spit and so there are little spit globs everywhere. I’m not even exaggerating. It’s everywhere, on the floors, in the elevators, on the stairs, in the toilet cubicle, in the toilet sinks, on the buses, subways, everywhere. Disgusting. 3. The pushy shovey adjummas– Some adjummas are so cool, we could be friends but other adjummas are a pure dose. They push and shove and not only are they rude but they bring giant containers of Kimchi on the bus. 헐! 4. The price of deodorant This is the most random thing but decent deodorant costs a lot. Most of the time, I stock up on foreign trips but what’s up with that? 5. Bread– If you’re looking for Mammy Browne’s bread over here, you’ll be looking for a while. It is most difficult to find a good decent bread. Or a decent sandwich for that matter. 6. When Koreans pretend they don’t understand what you said, even though you said it in Korean. 8. Trying on clothes; When the store owner either 1) Tells you there are no “big sizes” and/or 2) Won’t let you try on the clothes. 9. Shoes; The utter lack of shoes from Europe size 7 (255-260) and up is shocking. Just shocking. 10. Physical Appearances; Koreans are utterly obsessed with weight, dieting, white skin and the perfect face. 11. Toilet paper: You must bring your own toilet paper with you when you go out because there is always the chance that your toilet won’t have any. Then you must put it in the bin when you are finished because it is believed that putting it into the toilet will block the drains. 12. Messing around with food; Koreans love to put food where it doesn’t belong. Like sweetcorn on everything, mayonnaise on everything else. Stop! If I want either, I’ll ask for them. 13. Skirts; In Korea, it’s not ok to wear a low top but it is totally appropriate to wear a skirt so short, one might mistake it for a belt. This then results in the woman having to cover her behind with a bag so as to not flash her bum at anyone behind her. Surely she could have just worn a longer skirt? 14. Desk warming– The act of sitting at your desk, not teaching, just sitting. There are only so many movies to watch, books to read, Korean words to learn before you get bored and want to go outside. 15. Bins- I could rant all day about this. Why are there not more bins? Seriously, where are we supposed to put our rubbish and where do Koreans put it? If I eat something with a wrapper, am I really supposed to walk about 2km to find a bin? I think not. PUT MORE BINS OUT!!!!!! 16. Banks– For the most part, I love my banking experiences. However, it drives me insane when they insist on photocopying my id and passport when I send money home (KB*b). I gave you those when I opened the account and again the first time I transferred money. Surely you have it on record? 17-Public Urination– This usually happens at night but there is no excuse for randomly going to the bathroom. If it’s not the drunk people, it’s the children. You cannot just use this area as a bathroom. People are walking here. And you especially can’t use this area if it’s enclosed like a bus or the subway. 18. Points Cards– I have a points card for everywhere. But I don’t know how to redeem most of them because all the websites are in Korean. While I could go ahead and challenge myself to reading the Korean, I’d prefer to just do it in English. Would it really kill them to make an English language page? I think not. This is a pretty long list but most of the things are small things that we thought we’d share. Leave your comments below with anything I forgot! The Subway- Always an adventure. 1. The machine eats your money; You try to top up your T Money card and the machine just eats your 10,000w. Then you press the help button, to talk to a Korean adjussi who totally has no idea what you’re saying and now you have hope of getting you 10,000w back. You look around asking for help with your eyes and everyone pretends they can’t see you. And you haven’t even gotten on the subway. 2. 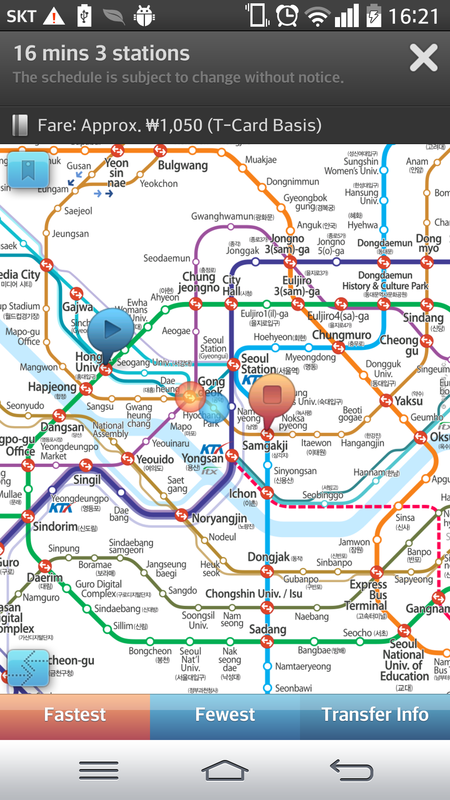 You get the subway in the wrong direction; You’re in downtown Seoul and you hop on the subway you think is your subway. You find a seat, pull out your Kindle and settle into your book. After about oh 10 stops or so you begin to wonder why you haven’t reached yours. So you look for the next station name on your Jihachul to realise that you’re not even going in the wrong direction. So now, not only did you waste the last 15 minutes going in the wrong direction but you’re going to have to get out, swap over, wait for the correct subway, waste 15 more minutes going back and then start going in the right direction. 4. You sit beside a drunk; It’s ok to have enjoyed a few drinks and to responsible enough to take public transport home but don’t bring your new-found enthusiasm near me. Sleeping on my shoulder, trying to mutter something, spitting next to me, vomiting next to me, taking off your clothes is totally not ok. Go home, you’re drunk! 5. You’re surrounded by the church people; Being a foreigner on the subway makes you a magnet for the church people. No amount of listening to music and not speaking Korean can get you out of having to spend your subway ride watching the latest version of the Testament Part 2 on DVD. 6. 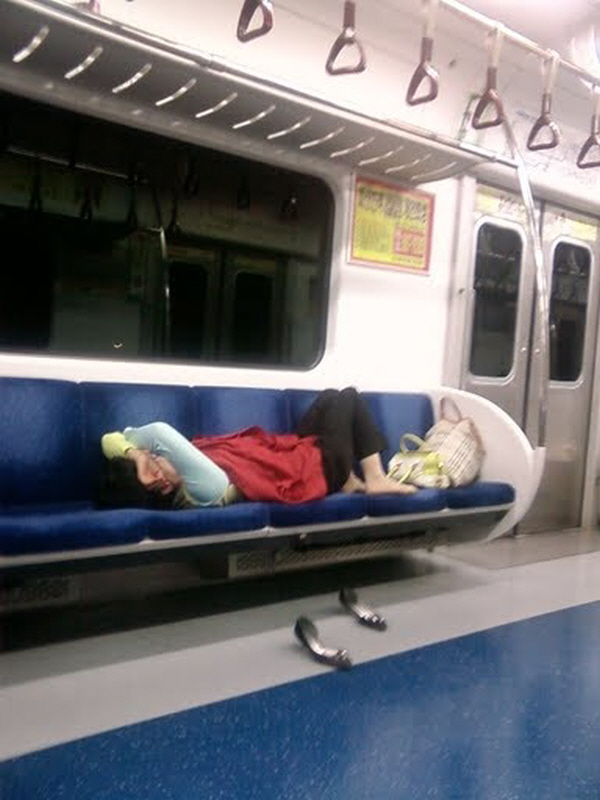 You leave your bag on the subway; Although Korea is a safe country, leaving your bag on the subway is never a good idea. I’ve known people to get their bags back after leaving them on the subway but I know more who didn’t. And think about the people on that subway. There they are all sitting around, wondering who left their bag unattended. They wait a while and eventually everyone is getting a little nervous when nobody comes to claim it. Actually, that’s just me. Koreans on the subway rarely notice these things so while I’m fleeing for the carriage furthest away, everyone else is like 왜? 1. Surrounded by Koreans in their Sunday best who have to stand because they don’t want to wake the foreigner who’s taking over the entire row. 2. On your way back to Seoul. You have no idea how many time you did the round trip, but you’re on your way back to Seoul. Imagine if all the above happened in one journey. Never a dull moment. Leave your subway adventure stories below! Subway is by far my preferred method of transport in Korea. It’s always quite a novelty because apart from the Luas line we have nothing of the sort in Ireland. I’m super lucky that I live a short walk from Geumneung Station on the Gyeonggi Line. Up here in Paju, we’re slightly special. We have our own line connecting us with central Seoul but its not a subway so much as a train. But not a KTX so don’t get confused. It’s quite new, only having started in 2009 so in the winter it’s toasty warm and in the summer the air conditioning actually works. 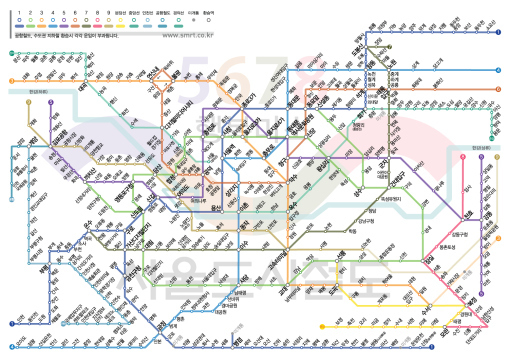 according to some Seoul subway is the best in the world; http://jalopnik.com/5958482/the-best-subway-systems-in-the-world I can see why. When it comes to directions and getting places, I’m not exactly Einstein but this subway is idiot proof. You can figure it out in no time and the transfer are clearly marked at each station. 1. Great characters; You find these people everywhere. The ones who talk to themselves are the best. The people who have had slightly too much soju and are having difficulty in maintaining correct conduct. The randomers who speak enough English to have a chat to you. The church people who are always more than happy to talk to you about the Bible. Sometimes the adjussis like to shout at each other. The list goes on. 2. The sellers; On some of the subway lines, you can buy things. I fairly sure it’s illegal but who wouldn’t want a singing top thing or a cheap packet of plasters? Once I bought a pair of fleecy tights and seriously they were the business, I practically lived in them my first winter. Anyway, it’s always entertaining to watch their sales pitch and see how much they manage to sell. 3. The foreigners; There’s always that “what to do, what to do?” moment when you see other foreigners on the subway. It’s like “didn’t you get the memo that I was taking this subway?” Then of course you must just ignore them because that’s clearly what normal people do. Heaven forbid two foreigners would talk to each other. 4. The nut man; I love the nut man. He should be in the post with the “Great characters” but he’s so great I gave him one for himself. It’s a shame I don’t have a picture because he is such a legend. I’ve only ever seen him on the special Gyeonggi Line ( we’re so cool we have our own nut man). He always has a doctors white coat on with pants and white trainers and sometimes has one of the white hair nets on. All he sells are peanuts. He just goes from cart to cart rattling his steel cups together and selling his snacks. 5. 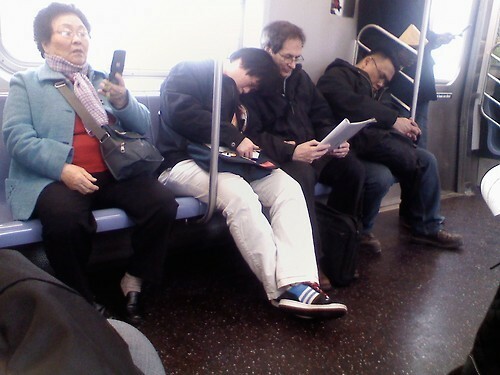 The sleepers; No matter what time of the day you take the subway, there are always sleepers. Sometimes they snore, sometimes they fall off the seat slightly and sometimes they take up the entire row. This is especially the case on a Sunday morning when the revellers from the night before are struggling to make it home. And if you don’t like all of the above entertainment, you could always pass the time reading a book………..